The Advanced Diploma of Community Sector Management is a management level qualification designed for leaders in the health and community sectors. This qualification is an alternate pathway designed to broaden the skills of the graduate across other sections of the health and community Services industry, whilst still having relevance to the Aged Care environment. It will assist you in getting the best out of your team and will enhance your upper level management skills. Graduates are able to conduct themselves as managers in the Community Sector and Aged Care industry with a holistic approach that focuses on best practice. Study via our online learning portal with dedicated trainer support through virtual campus! are in a second in charge role (or equivalent), however, you will need to have employer support to be able to complete a range of tasks within the workplace. Our virtual campus delivery allows you to study via our simple and intuitive online learning portal, where you can access your learning and assessment materials anywhere, anytime. Your dedicated trainer and assessor will be with you every step of the way to provide you with real time support and individualised feedback on your assessments. Collaborate and share experiences with your peers using our interactive, online program hub. Unable to study online? If you are unable to access our online learning we can provide paper-based resources. You will still receive all the same support you need from our experienced trainers with correspondence throughout your study provided via phone, email or video calls through Skype. 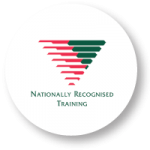 * This training is delivered with Queensland government Funding. The Queensland government will pay an amount towards the cost of this course for eligible students and the student will pay a subsidised cost – the cost above.